The Property Appraiser is required by law to determine how your Mobile Home (also known as a Manufactured Home) will be classified for property tax purposes. The classification is based upon whether or not it is located on land owned by the Mobile Home owner or on land owned by another (i.e., Mobile Home Park). I just purchased a Mobile Home for the first time and put it on my lot. Is there anything I have to do? Yes. Pursuant to Florida Statutes, if you own the land and the Mobile Home, you must apply for Real Property (RP) decals and declare the Mobile Home as real property. When you first purchased the Mobile Home, you should have been issued a decal that expires December 31 of that year. How do I get a Real Property (RP) decal? Visit either one of the Property Appraiser's Offices and bring the deed to the land and the Title or Registration to the Mobile Home (two Titles or Registrations if it is a double wide). The staff will complete a DR-402 form which declares the Mobile Home to be real property. This form should be taken to the Tax Collector's Office, where you may purchase a Real Property (RP) decal which is valid for as long as you own both the Mobile Home and the land. How often do I purchase a Real Property (RP) decal? You only have to purchase a Real Property (RP) decal one time. If the Mobile Home is already on the land when you purchase it, the previous owner may have already purchased a Real Property (RP) decal. If so, you do not have to purchase new ones, unless the decal is not visible on the home. If I did not receive a title or registration when I purchased my mobile home, will I be able to purchase my real property (RP) decal? No. The Title needs to be transferred to the owner of the land before a Real Property (RP) decal can be issued. Contact the Tax Collector's Office for more information. How long does the dealer have to get the Manufacturer's Statement of Origin and the Title application to the Tax Collector so I may get my registration? The dealer has 30 days from the date of closing. The Tax Collector will issue a registration for the Mobile Home and send the Manufacturer's Statement Of Origin and title application to the Department of Motor Vehicles where the Title is processed. The Title will be mailed to the owner if there is no lien on the Mobile Home. If there is a lien, it will be mailed to the lienholder. After I purchase my Real Property (RP) decal, do I have to place it on my Mobile Home? Yes. If the Mobile Home is a singlewide, place the decal in a window that is visible to the appraiser. If the Mobile Home is a doublewide, be sure to put the proper decal on the half which is specified on the registration. Your home will be assessed as real property and you will be required to pay taxes on the Mobile Home, land and attachments. I purchased a Mobile Home in another county and moved it onto my property here. The Mobile Home already has a Real Property (RP) decal. Do I still need to apply for my own? 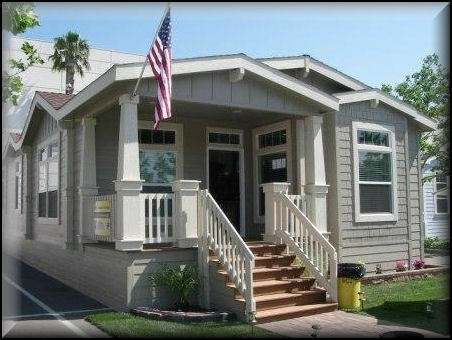 Once a Mobile Home is assessed as real property, will it be treated the same next year? Yes. The Mobile Home will be assessed to the landowner unless the landowner can provide to the Property Appraiser's Office a registration or title in the name of the individual to be assessed. If I do not own the land, where and how do I purchase a Mobile Home (MH) decal and how much do these decals cost? This decal must be purchased each year during the month of December from the Tax Collector's Office. The prior year's Mobile Home (MH) decal is valid until December 31. (The Tax Collector has a rate schedule used for computation of decal prices and the rate is determined by the length of the mobile home.) Singlewides need one decal, doublewides need two, etc. Does the Mobile Home (MH) decal exclude my Mobile Home from a property tax assessment? In part, it does. The Mobile Home (MH) decal only covers the mobile itself. It does not cover any attachments (i.e., air conditioning units, carports, etc.). If my Mobile Home has been assessed for taxation because I have been delinquent in purchasing a decal, how do I get the Mobile Home portion taken off the tax roll? You must purchase decals for all the years you were delinquent, except for those years you paid tax on the Mobile Home. You must show proof that you have brought your decals up to date and that the Mobile Home owner does not own the land. Once proof of ownership has been provided and decals are current, the Mobile Home portion of the assessment can be deleted from the tax roll. When do my Mobile Home (MH) decals expire? Mobile Home (MH) decals expire on December 31. Travel trailer or recreational vehicles have license plates which expire on your birthday. 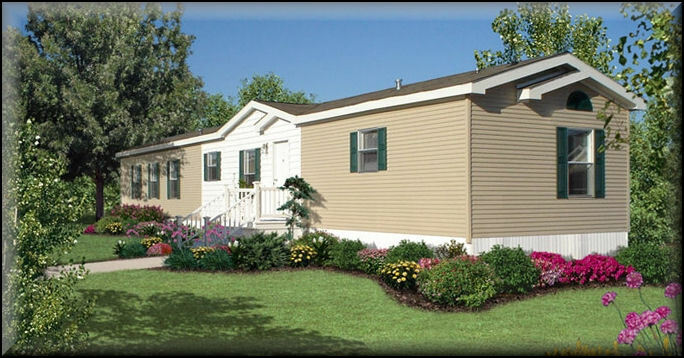 Is the assessment and taxation of Mobile Homes the same as it is for houses? Not always. Mobile Homes in parks where the Mobile Home owner rents lot space from the park are taxed through the annual purchase of a Mobile Home (MH) decal. The attachments to the Mobile Home are assessed and taxed as Tangible Personal Property. The major portion of the tax, which is on the land, is paid by the owner of the park. Am I required to obtain and file a Tangible Personal Property tax return on my Mobile Home and its attachments? Hernando County does not require tax returns to be filed for Mobile Homes. The Property Appraiser's Office goes out to measure and assess Mobile Homes and attachments to insure uniformity in value. I own a recreational vehicle and a park trailer. Do I have to register them as Mobile Homes? No. When a trailer is being registered for the first time in the applicant's name, the recreational vehicle must be classified as such and registered with a license plate and validation decal instead of a Mobile Home (MH) or permanent decal. A Real Property (RP) decal will be issued if the travel trailer is affixed to the owner's land. Can a Mobile Home owner qualify for Homestead Exemption? If you hold title to a permanently affixed Mobile Home and the land on which it is situated, you must make application to the Property Appraiser's Office for a Real Property (RP) decal. The decal is purchased at the Tax Collector's Office. The Mobile Home and land will be assessed as real property. Homestead Exemption may be granted if the Mobile Home meets those requirements and you qualify for the exemption. I own the land and the Mobile Home but I do not have a Real Property (RP) decal. Will this effect my Homestead Exemption? Yes. When you apply for the Homestead Exemption, you must also apply for your Real Property (RP) decal if you have not already done so or the previous owner did not have one. If you are not sure if you have one, you need to contact the Tax Collector's Office and get a replacement decal. What if I cannot get my Title or Registration in time to file for the Homestead Exemption? As long as the Mobile Home was on the property January 1 of the year filing, and you meet all other criteria, you can file for a Homestead Exemption. You do need to get your Title or Registration as soon as possible, or your exemption for the current year may be denied. You need to contact either the dealer, title company or lien holder (if financing is involved) and make sure the Manufacturer's Statement of Origin or Title has been sent to the Tax Collector's Office to generate a registration. (You may not receive the actual Title until the lien is paid in full.) You must bring the Title or Registration to the Property Appraiser's Office and apply for your Real Property (RP) decal. Our GIS Interative Map can assist you. Select the Location tab within the Parcel Summary.